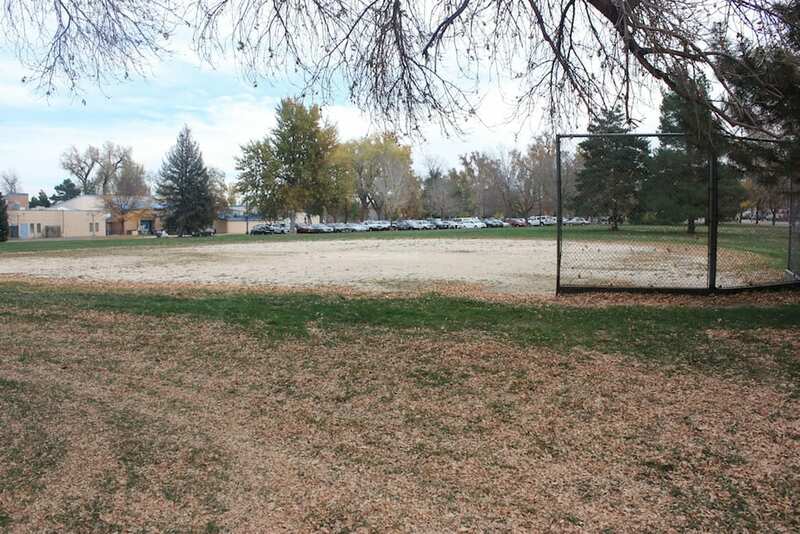 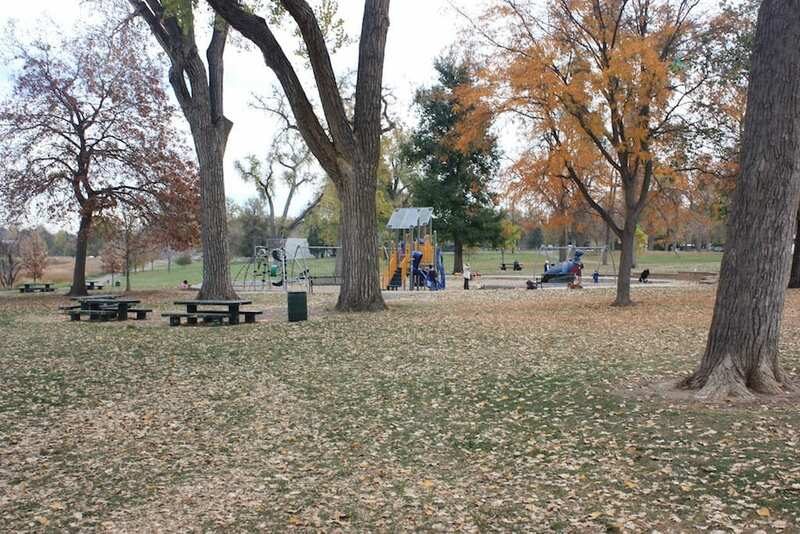 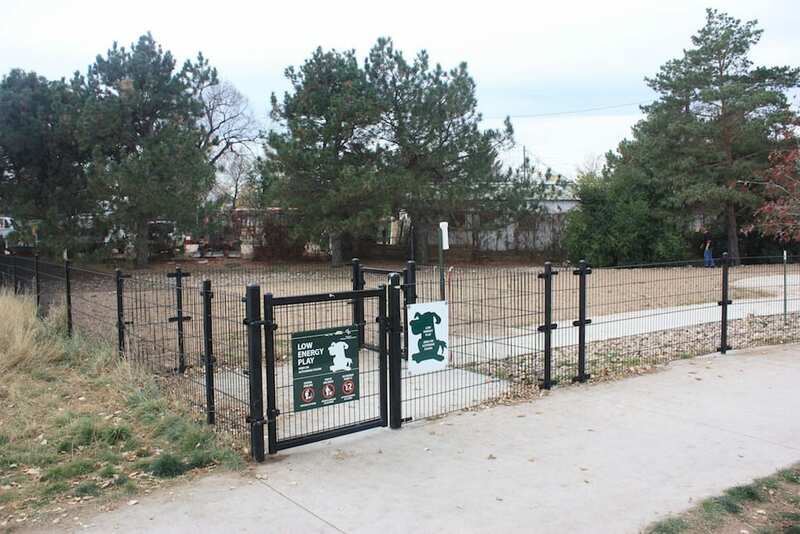 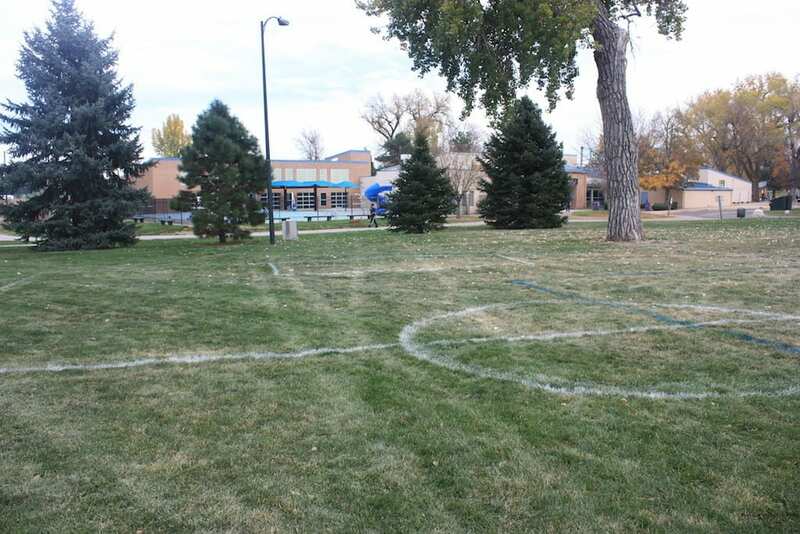 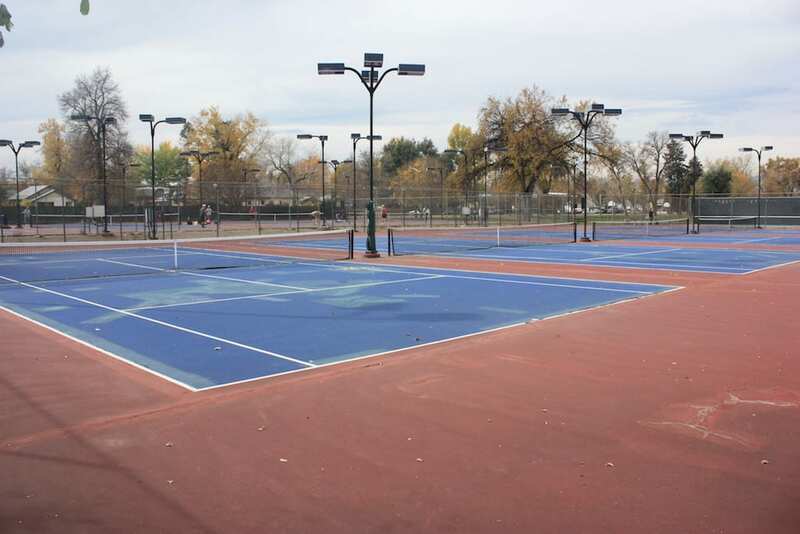 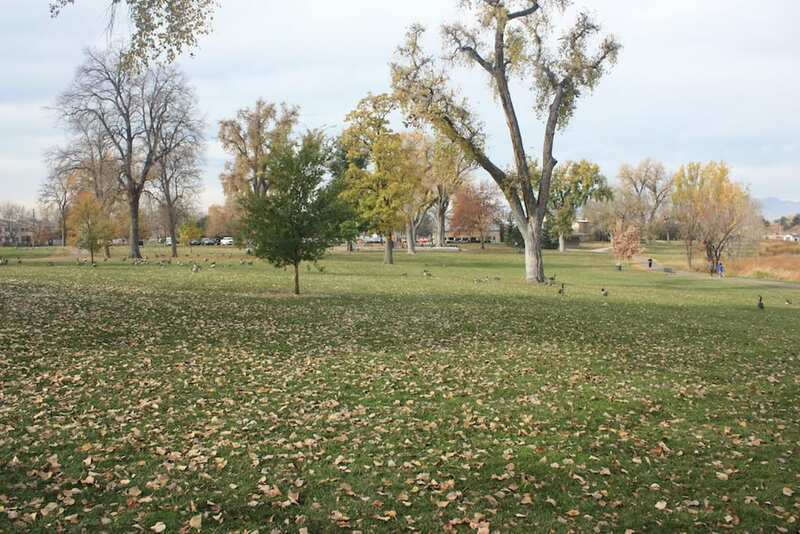 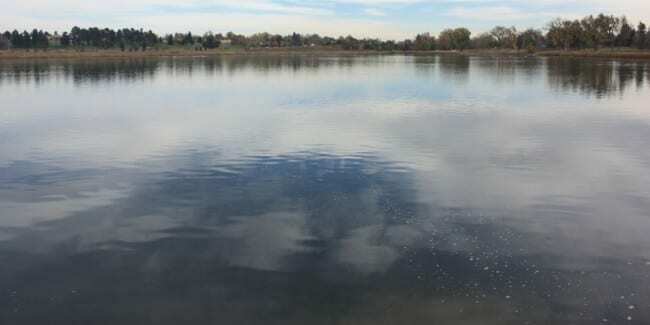 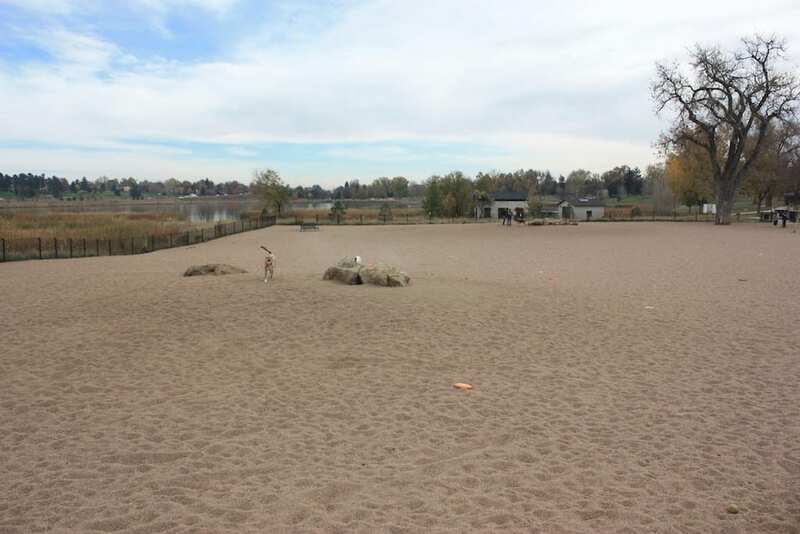 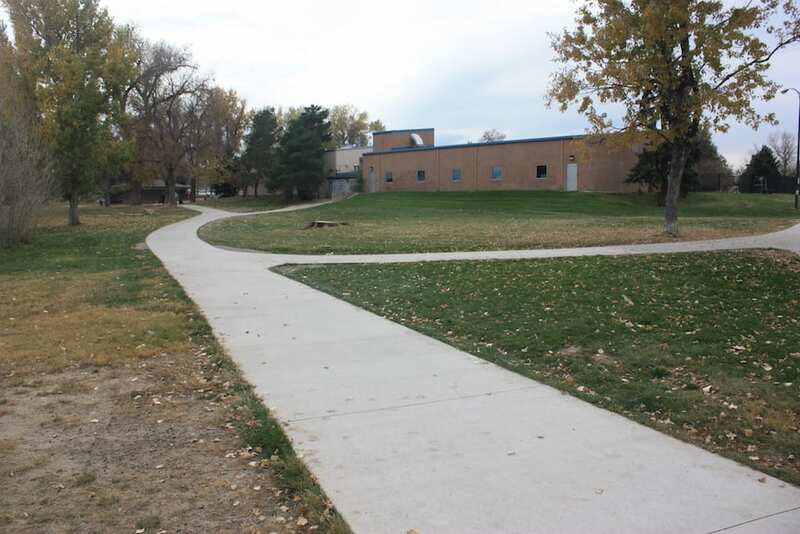 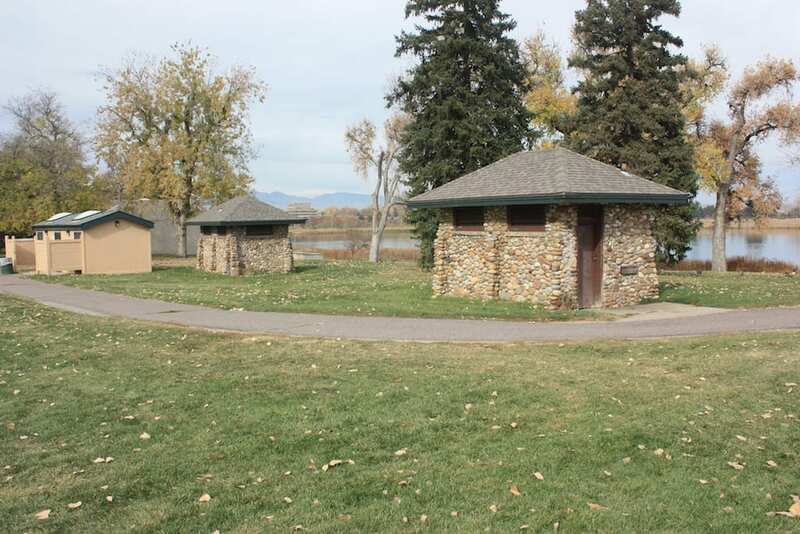 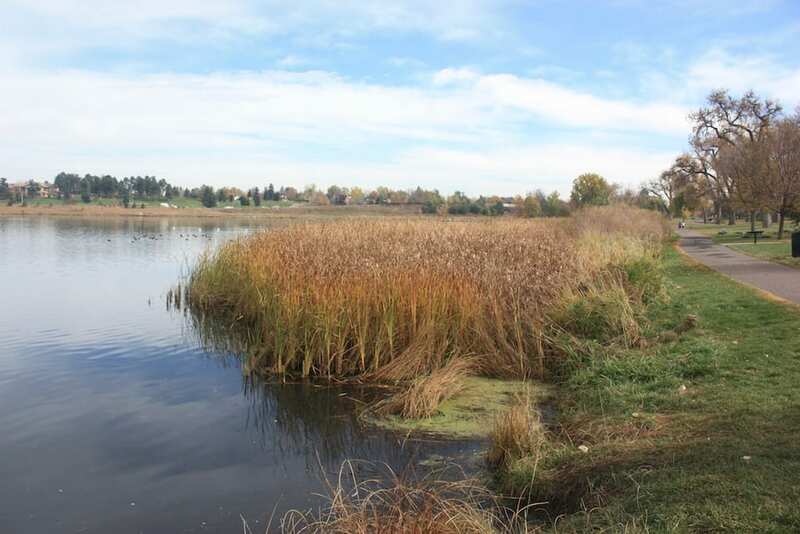 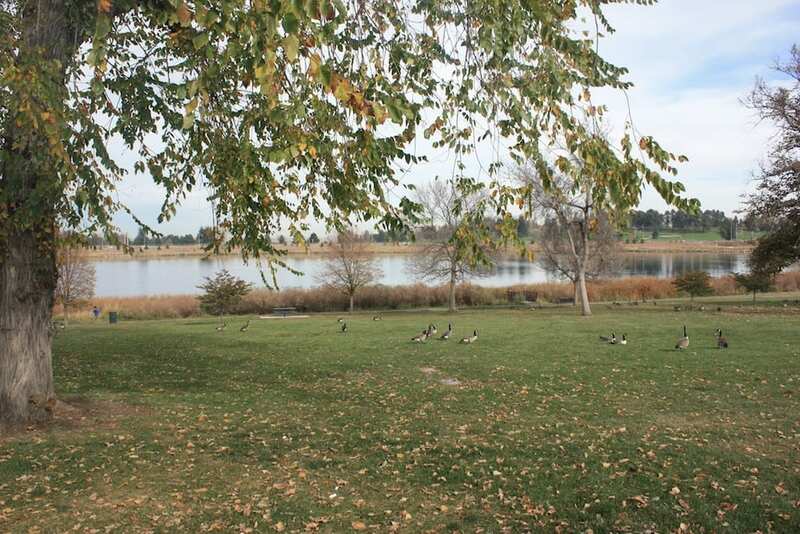 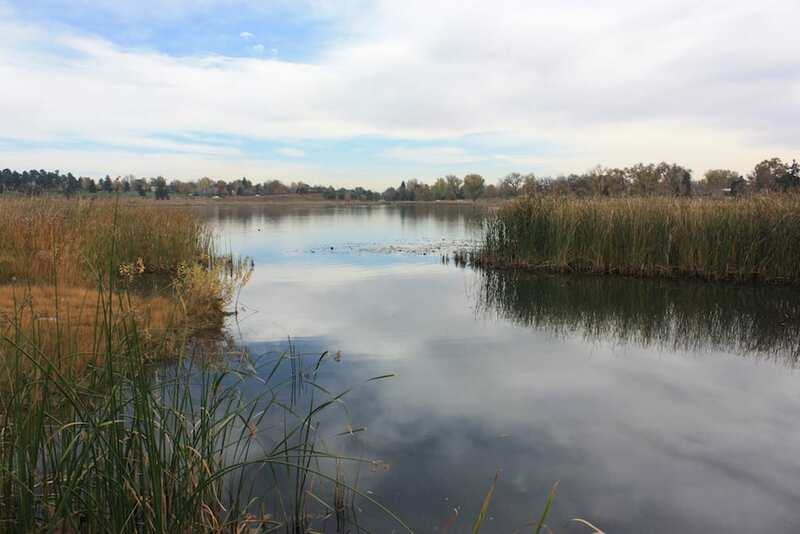 Berkeley Lake is the highlight to this beautiful North Denver park. 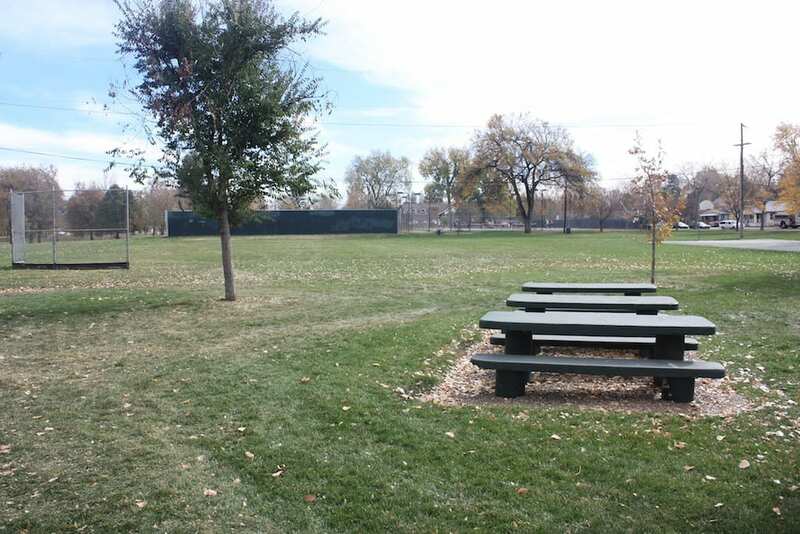 There are numerous grassy and shady areas to have a BBQ and picnic. 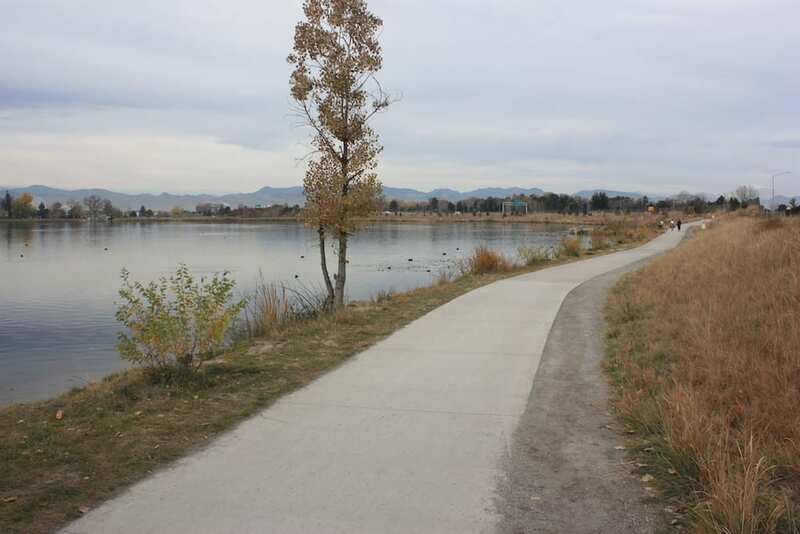 Walkers and joggers frequently use the trail around the lake. 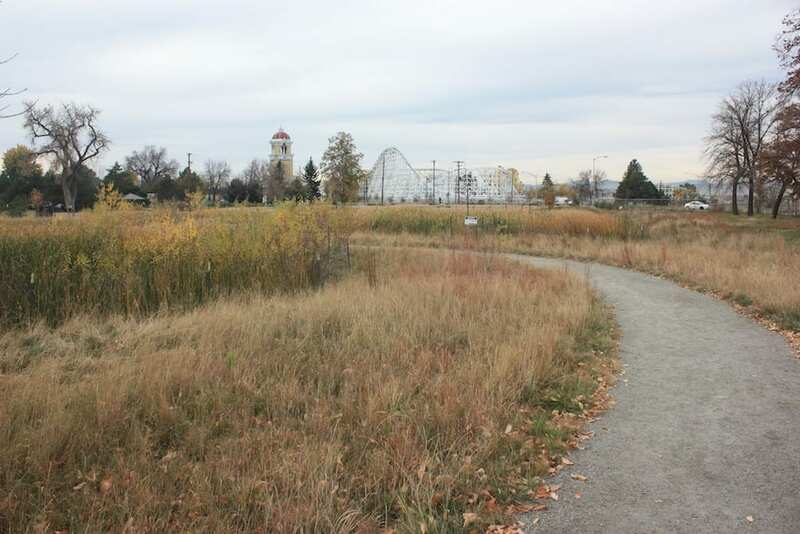 I-70 runs parallel to the park, which is located at the corner of Sheridan and 46th, across from Lakeside Amusement Park. 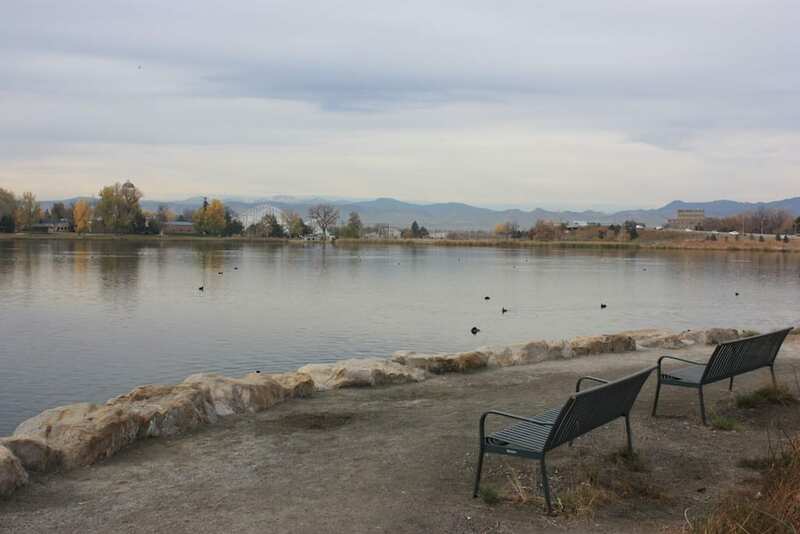 It’s easy to ignore the highway as you enjoy the fascinating scenery. 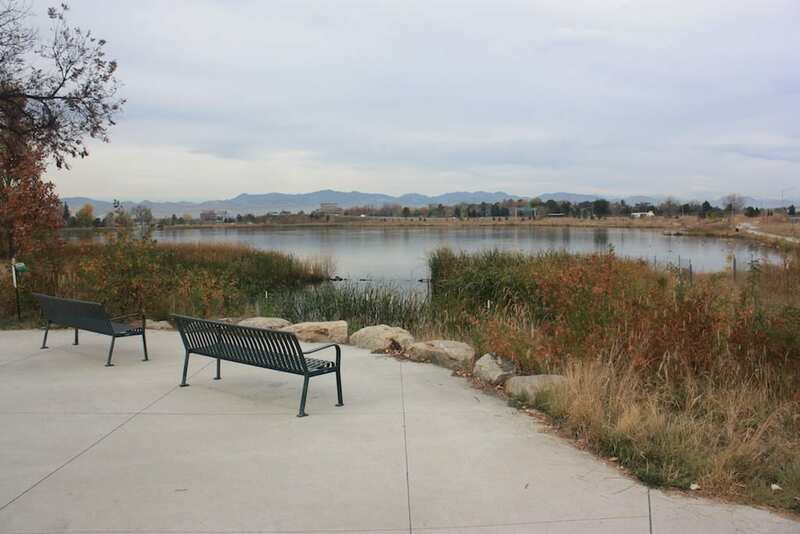 Biking/Hiking: Allowed on one mile path around the lake. 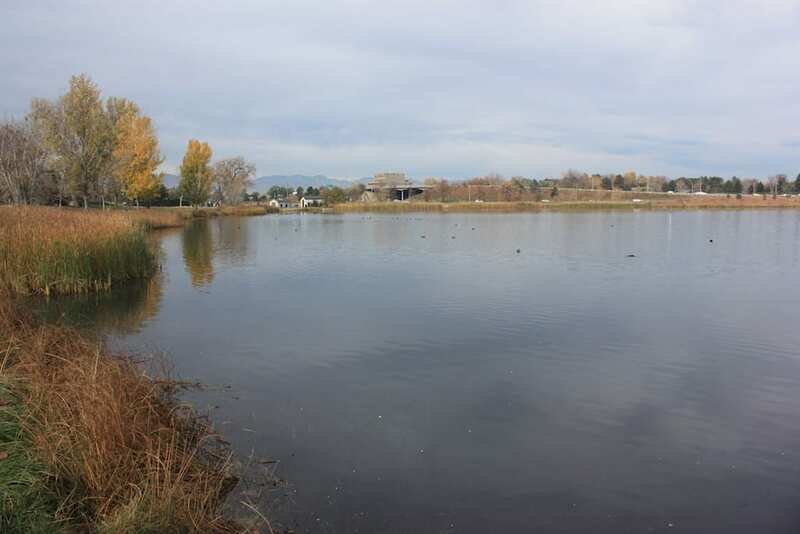 Fishing: Permitted in Berkeley Lake. 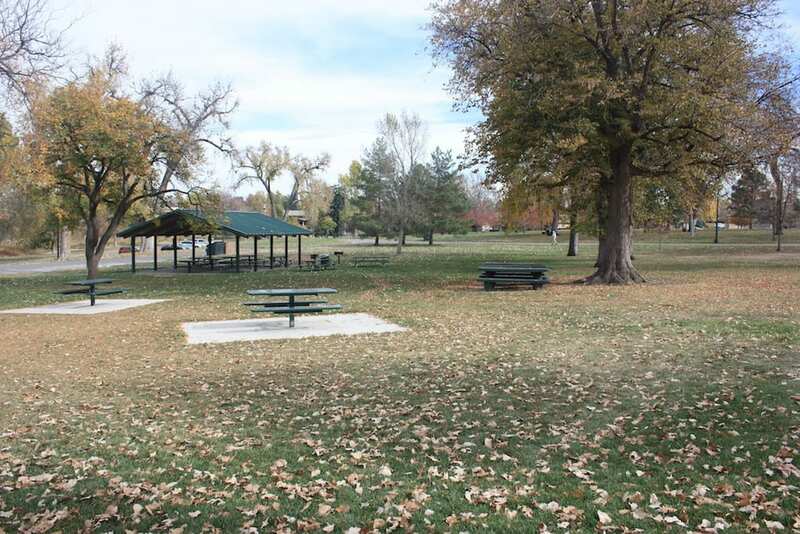 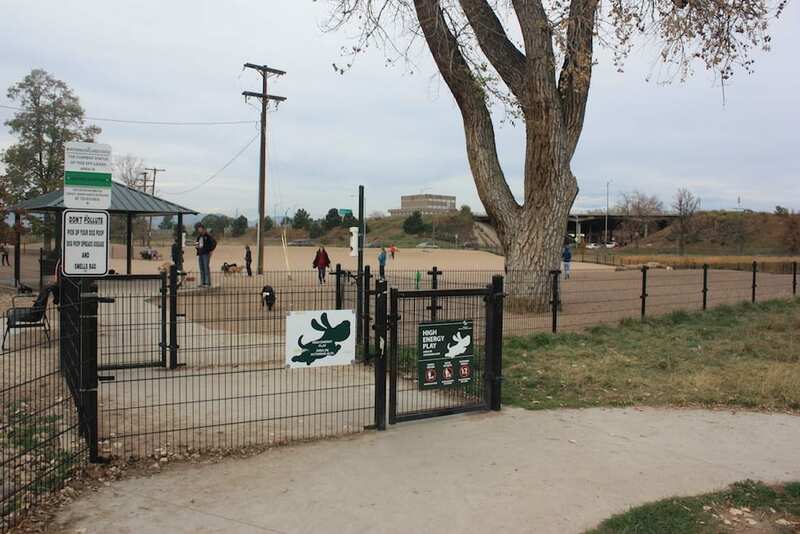 Picnicking: Picnic areas can be found around the park. 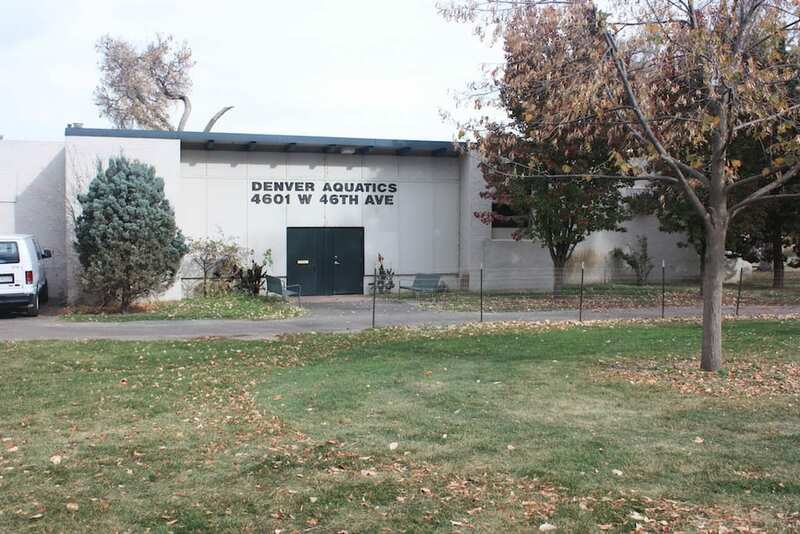 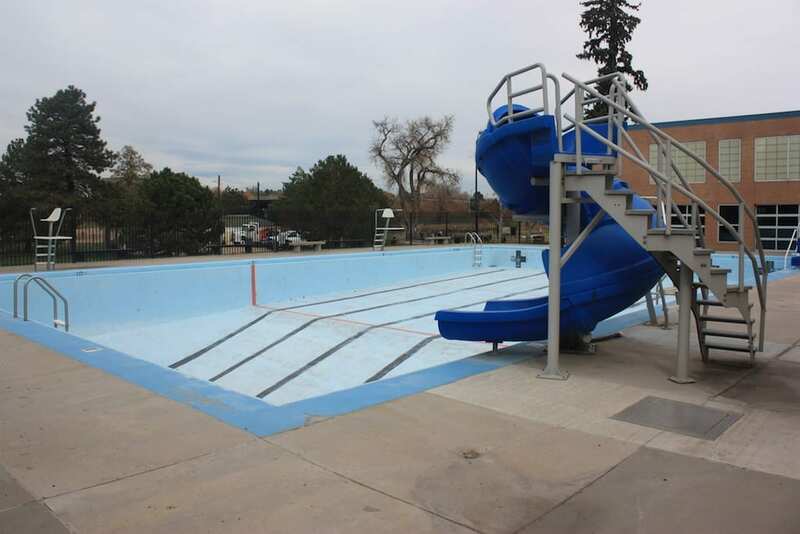 Swimming: Rec center has both indoor and outdoor public pools. 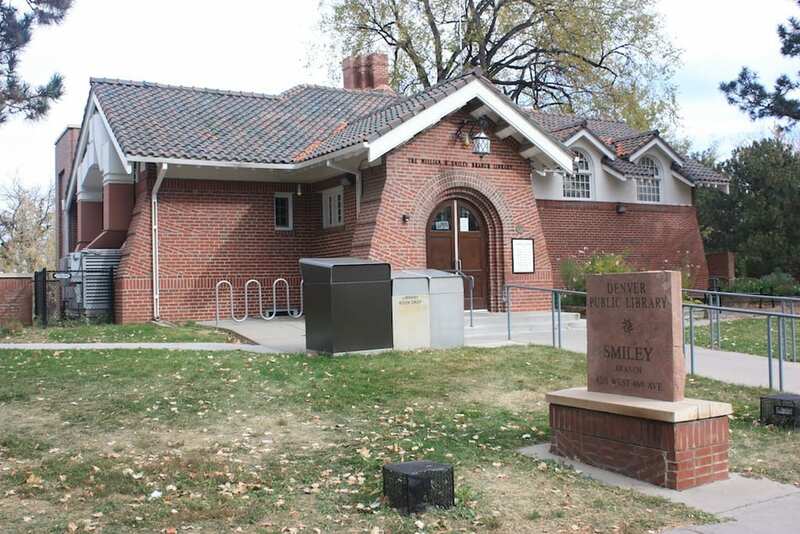 Smiley Branch of Denver Public Library. 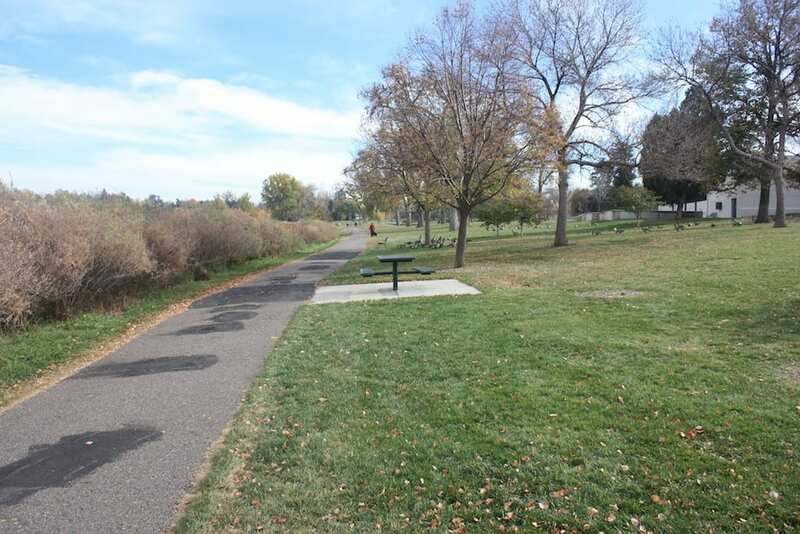 Trail on north side of lake. 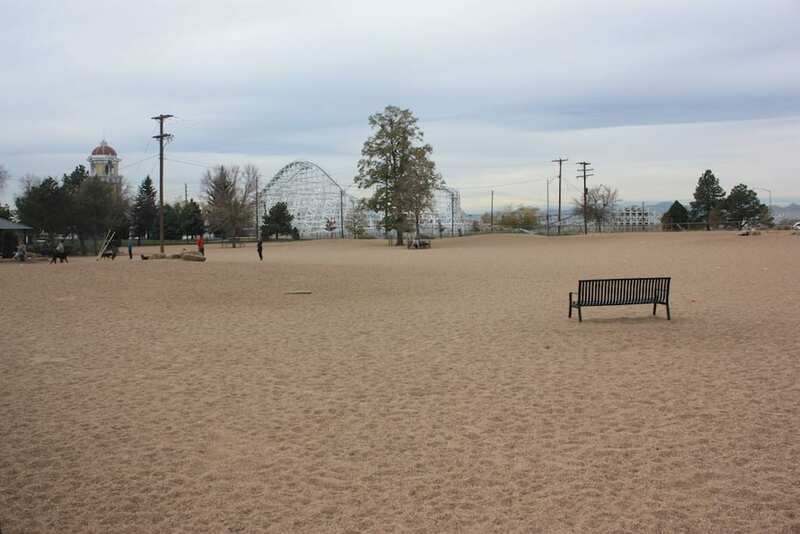 Lakeside Amusement Park in distance.